Welcome to the NBC Renew/Cancel Watch! Find out below if your favorite NBC show is safe from cancellation! This is a rare edition of of the NBC R/C Watch because there are no shows "on the bubble" this week! Superstore: Although the freshman comedy garnered a dismal 1.2 rating for its most recent episode, Superstore is still certain to be renewed. Keep in mind that this episode was up against the massive Grammy Awards. Superstore is still one of NBC's most successful comedy launches in YEARS (sad, I know), so be ready to see Superstore on NBC's 2016-2017 schedule. UPDATE Superstore has been renewed. Telenovela: With a 0.7 rating for its penultimate episode, Telenovela is extremely close to being labeled as "certain to be canceled." However, I decided to cut this show some slack considering it was up against the Grammy Awards. Next week's season finale rating will be the number to determine if it's either "likely" or "certain" to be canceled. It doesn't really make a difference, though, because you probably won't be seeing Telenovela next season. 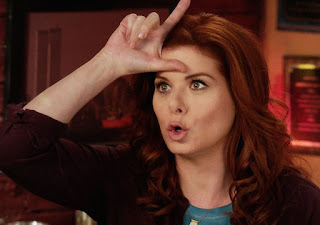 The Mysteries of Laura: The Mysteries of Laura notched a 1.0 rating for its most recent episode on Wednesday. Laura could be considered a bubble show, but since I don't like to keep shows on the bubble I put it as "likely to be canceled" for two main reasons. First, TMoL only got a partial order from NBC. A 16 episode order would mean that Laura essentially needs 5 seasons for syndication instead of 4, and I don't think NBC wants to drag Laura on for that long. Second, TMoL isn't an NBCUniversal production, so they really have no reason to keep this show. Like...at all. So I personally believe that Laura will be done for at the end of this season, BUT I wouldn't be surprised if it gets a third season. Tell me what you think in the poll at the end of this article! You, Me and the Apocalypse: YMATA got a 0.6 rating this Thursday. NBC...pull this show NOW. I don't care if you need to bring back Dateline: The Real Blacklist, just get YMATA out of there! It is bringing down the entire night and definitely won't be seen next season. Grimm: When Grimm managed a 0.9 rating on Friday and became NBC's highest-rated show of the night (although just by 0.1), I decided to move Grimm back up to "likely to be renewed." I am still a believer in a final, shortened season for Grimm and as I have previously mentioned, I don't like to keep shows on the bubble. NBC knows they could do a lot worse on the night AND it is an in-house production. Also, the network has a history of rewarding long-running, in-house productions with less-than-stellar ratings final seasons, so yes, I think Grimm will be another case of this. Do you think 'Laura' will be renewed or canceled?